Project Valley: The phone of the future? We've heard previous mumblings that Samsung has filed numerous patents regarding foldable smartphone designs, and now it appears that tech could be on its way to market. According to SamMobile's unnamed insiders, Samsung is currently working on a foldable, dual-screen smartphone with the codename Project Valley (or Project V). The report says the handset is in “the extremely early stages of development”, with its ambitious nature meaning that it could be terminated “at any time”. We don't have too many details to go on, but the report suggests that users of the dual-screen device would be able to flit between panels using “multiple gestures”. It's also thought that Project V would be capable of being folded together in the middle. So for the first time, you may be able to comfortable fit a phablet into your skinny jeans pocket, phew. 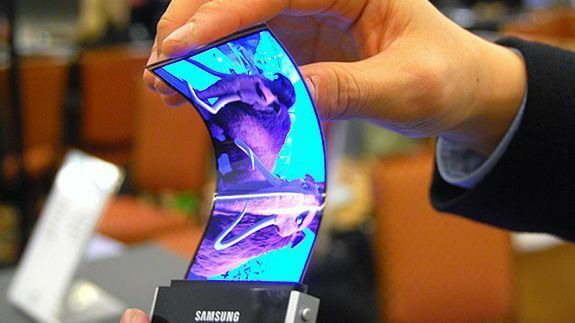 Many tech companies including Samsung have shown off bendable displays in the past. With phones like the LG G Flex 2 and Samsung Galaxy S6 Edge putting it into practice, it's only natural that foldable phones are the next target. Until we hear anything official, though, take this news with a pinch of salt. Project V may well be in development, but it's highly likely it will never see the light of day. Does the sound of a foldable smartphone peak your interest or not? Let us know in the comments.